Hey, commercial kitchens get pretty chaotic at times, and sometimes we find barbecue sauce in places we’d never dream of. Daily cleaning of commercial kitchens is a great practice, but sometimes months of build-up is nearly impossible to remove. That’s why BEST HOOD CLEANING offers restaurant cleaning services to the Sacramento, California area. BEST HOOD CLEANING has a great deal of experience in restaurant cleaning services. 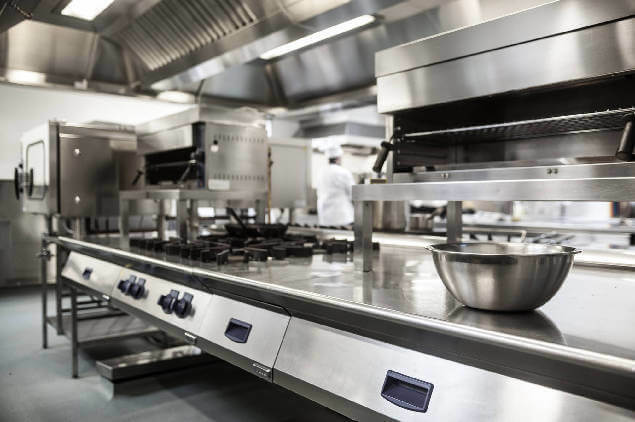 We are a team that is made up of professionals and have the knowledge and expertise it takes to ensure that a commercial kitchen is cleaned to code–and more. We will OUTSHINE our competition any day. We have the latest steam cleaning and pressure-washing technologies that enable us to leave your commercial kitchen or bar looking sparkling new. We can do floor stripping, ceiling steaming, steam carpet cleaning, and more. 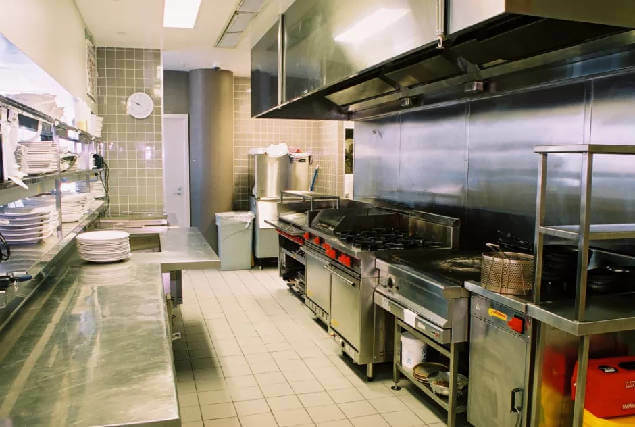 Commercial kitchens and restaurants are incredibly difficult to keep clean. Just because there are mustard stains all over the ceiling doesn’t mean that you’re a total slob. It just means that you’re a totally normal business in the food industry. 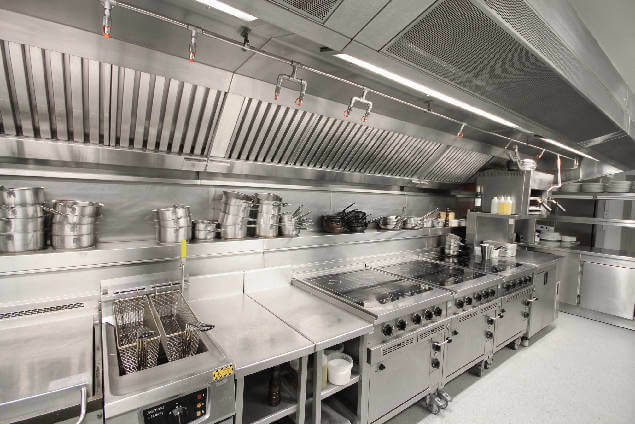 Restaurants and kitchens are notorious for generating grease, carbon and grime daily. And the mess that accumulates over time isn’t something that can just be scrubbed off with your daily cleaning. It’s going to take a professional restaurant cleaning service to get the job done. Kitchen equipment will need taken apart and put back together properly, inspected and cleaned in compliance with the local code. By trying to take on the restaurant deep cleaning yourself, you could end up in a real predicament. You could damage equipment or (with good intentions) violate board of health regulations. BEST HOOD CLEANING is knowledgeable of the local codes and will inspect and clean all of your kitchen equipment to the highest standards. We’ve got the tools and equipment that it takes to ensure a proper commercial restaurant cleaning. Luckily, the gear we have for hood cleaning will also work very well for other equipment in the restaurant. This is tough work. We have friends that have a cleaning service in Montreal that visited us recently. They saw our work and think we’re crazy. PEOPLE LIKE YOU KEEP US GOING EVERY DAY. We want your business. Your satisfaction is important to us and we’ll strive every day to impress you. Call us today to talk about your commercial kitchen cleaning needs. We will be glad to offer you our kitchen cleaning services in the Sacramento, California area. In Sacramento, BEST HOOD CLEANING is the leading restaurant cleaning services company and is fully insured, bonded, certified and licensed.